Glen Grant is one of very few distilleries for which a ‘liquid record’ can be traced to early in the 20th century, thanks to the old independent bottlers like Gordon & Macphail who had the foresight to build up an old stock inventory from which the likes of 1936 Mortlachs and other greatly aged whiskies have been drawn from. These Glen Grants were also allegedly drawn from the same batch of 1930s (1936?) Glen Grant and gradually released between the 60s and 80s. It is also somewhat perplexing that at the same time these bottles were released, it was young Glen Grant that was wildly popular in Europe, their biggest market at the time. No matter. Nose: Quite lovely, soft and rounded and very nuanced with lots of little notes of sandalwood, beeswax, thick honey and rusty cans. Also a little musty with potpourri satchets hung in wardrobes and old leather. Quite yellow fruity to me like tinned peaches, pinch of christmas spice and some OBE. Snubbed candles. Palate: Old wax and clean oils, hint of musty cupboards, lots of sandalwood to start. Also lots of round honey and a warming ‘mulled’ sensation. Cooked or baked yellow fruit again, eaten with copper forks. It’s some sort of pollen or nectar infusion. Hints of soot too. Nothing harsh and no edges. Very accessible and easily understood. Finish: Medium, woody spices, dried ginger, old metal , camomile tea. Nose: Very similar! Makes sense if it’s the same batch of casks (if at all). It’s the 35 with a more assertive ‘louder’ nose, even if the abv is the same. Also feels a bit warmer with a bigger sweeter honey and aromatic sandalwood, and the cooked yellow fruit really shines through in this one. Palate: Again very similar but this one is again louder and more pronounced. Has a bigger woodiness – aromatic wood, like sandalwood again. Much less musty, but more heat and more yellow fruit and a brown honeyed sweetness. More fruitcake spiciness. Again, very accessible and easy. Finish: Long, autumnal, honey, yellow fruit, ginger tea, old wax and oils. 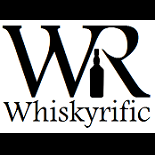 This entry was posted on January 15, 2018 by Whiskyrific in Glen Grant and tagged Glen Grant.